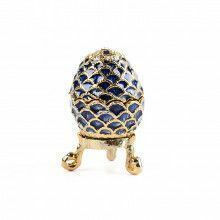 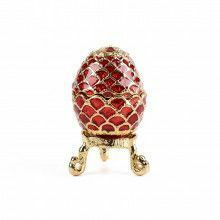 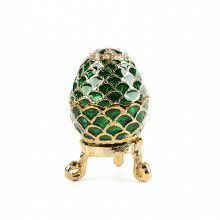 This charming trinket box is modeled after the famous faberge eggs. 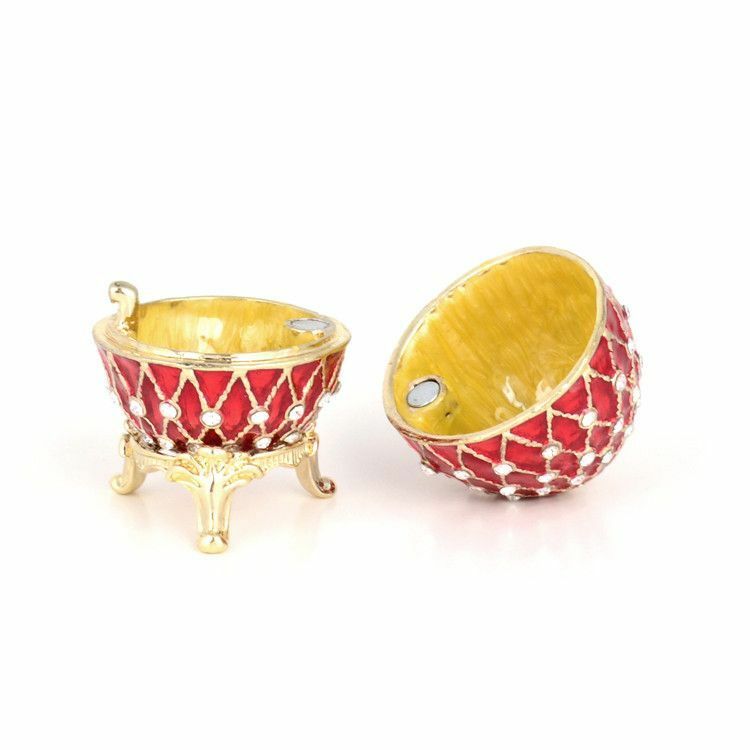 It features dozens of hand placed Swarovski crystals, gold plated trim, and spacious interior. 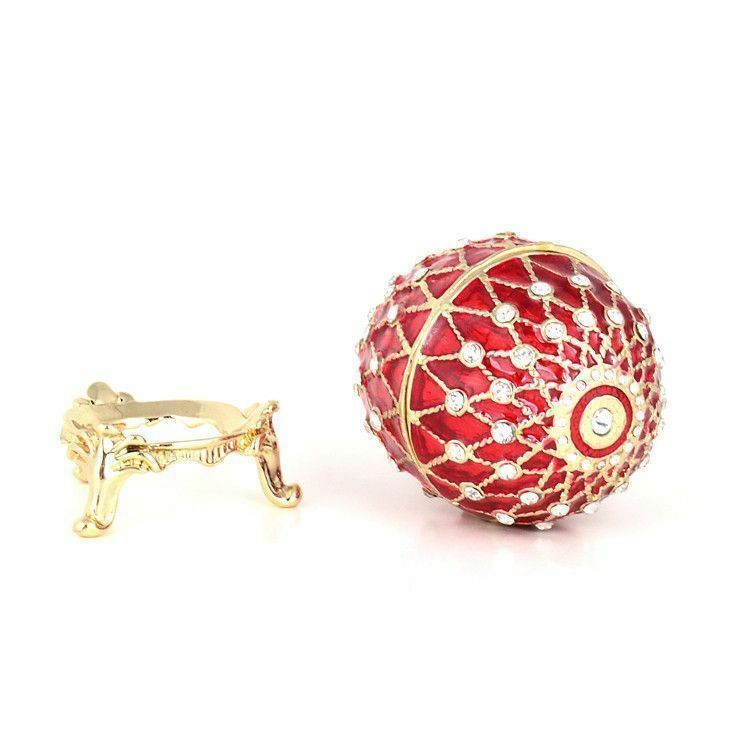 The box opens with ease, yet closes snuggly with the help of a magnetic clasp. 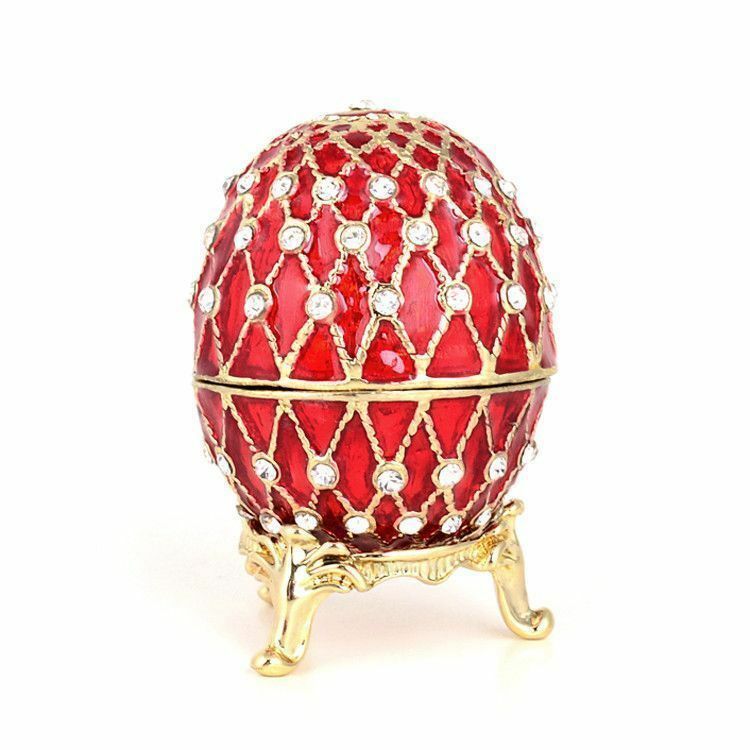 This egg comes complete in a satin-lined gift box.